Peter Martin: Abbott just stuffed up his shot at the Prime Ministership. Abbott just stuffed up his shot at the Prime Ministership. There's Abbott's third meltdown right there. If Abbott somehow manages to bugger this up, this is the point where he did it. It is clear, though, that Abbott is "only too happy". Abbott's refusal to provide his policies to Treasury is an extraordinary step. How can it not be deeply damaging to his credibility? Special maths! RT @1petermartin: Abbott "It is diffficult for the public service to understand Opposition policy" !!!! 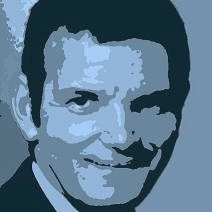 RT @BernardKeane: Sounds like Abbott doesn't want Treasury to look at his policies even AFTER the election. Sounds like Abbott doesn't want Treasury to look at his policies even AFTER the election. Okay well thanks everyone for coming, I'm sorry the hour is later, but I've only recently finished my discussions with the non-aligned independents. I just want to stress that my objective is to try to ensure that Australia gets stable and competent government arising out of last Saturday's election. My strong contention is that onlyt he Coaltiion is capable of providing the country with the stable and competent government that it needs and deserves. A government that was incompetent and unstable with a a majority is just going to get worse without the a majority. A government that was incompetent and unstable with the best possible political circumstances is going to be even worse in much more difficult political circumstances. Now, I had today I think a very productive and very candid discussion with the three non-aligned independents, a discussion that for I suspect, well over an hour and a half. I think that the three non-aligned independents are very conscious of the fact that the Coalition received half a million more votes than the Labor Party in the recent election. I think they’re also very conscious of the fact that the Coalition is likely to have more seats in the new parliament than the Labor Party. I indicated to the independents that I was more than happy to make available to them for as long as they wanted, in as much detail as they wanted, all of my shadow ministers, including the Shadow Treasurer Joe Hockey, Shadow Finance Minister Andrew Robb and was more than happy to make available to them Horwaths, the accounting firm which has fully costed and signed off on our policies. I also indicated to them that I was very committed to a process of root and branch parliamentary reform and I’m making available to you a note from Christopher Pyne to myself on the kinds of parliamentary reforms that the Coalition is looking at. I also want to make it very clear that we discussed the issue of a Westminster-style speakership to which I have always been extremely attracted and the idea of Speaker Jenkins continuing in that role on a Westminster style basis. We also discussed the question of funding of political parties and political campaigns and I’m more than happy to look at reform of the funding of political campaigns and political donations. If we are going to go down that path though, we do need to look at issues like the union funding of politically aligned third parties, such as GetUp. I just want to make the general point that I can fully understand the independents desire to have a new politics and certainly I am very committed to try to ensure that we have a more consultative, more collegial, more genial style of political discourse in this country, but if we are going to have a new politics, we’ve got to have to have a new government. The current government is the product of the worst sort of old politics. All of the issues which the independents find most unsatisfactory, the lack of due process, the lack of freedom for MP’s, are absolutely exemplified by the current government. In fact, the caretaker Prime Minister owes her position to a political coup orchestrated from outside the Parliament. So, I’m very committed to these ongoing discussions with the three non-aligned independents. I’m very hopeful that Australia will get stable and competent government arising from these discussions and as I said, I think it can only be provided by the Coalition. Mr Abbott are you not going to give your costings to Treasury and Finance as requested? Well, what was discussed with me today was making my shadow ministers fully available and I made a commitment that they would be available for as long and in as much detail as the independents wanted. The request in the letter is that you do provide you policies for costings. Well, the point that I made is that the government cannot discuss with them Coalition’s policies. The Government can discuss with them Government policies but only the Coalition can speak with authority for the Coalition’s policies. Are you scared? Are you scared of what Treasury will find in your policies? No, no. The point I make is that I am only too happy to give the independents full and complete access to my shadows and to Horwaths, the accounting firm which fully costed our policies and I just make this point in passing that the government itself comprehensively failed to honour the Charter of Budget Honesty, comprehensively failed to have Treasury cost its own policies. The Government released by way of press release, without even a press conference, costings of its own policies and its own budgetary outcomes late on Friday before the election. Mr Abbott, the independents are you looking for a commitment that you will serve a full three year term? The Prime Minister has already done so and even offered to name an election date three years from now. Would you match that? Well, Matthew, we didn’t get in to the precise level of specificity as to talk about whether it would be on the second weekend or the third weekend of October 2013 but I did make a commitment to serve a full term should I become Prime Minister. I did make a commitment that there would be no election prior to August 2013 should I become the Prime Minister. Is it your position that you would not support any change to the caretaker conventions and therefore no release of incoming briefs to either the Government or the Opposition and that that information should stay within Treasury and not be available to either side? Well, two points in response. The first point I make is that it is very difficult for the public service to understand Coalition policy, opposition policy, with the same degree of insight and depth that it has of government policy. I mean, that’s just the nature of these things. Now, I would like to see the advice that the Prime Minister said that she was obtaining and when I see that advice then I’ll come to a conclusion. But Mr Abbott, I can’t see why we cannot conclude anything other than the fact that you are scared that Treasury will find gaping holes in your costings given that your own firm said that it was taking assumptions as the Coalition had put them. Well, I am only too happy to discuss up hill and down dale, inside out and back to front, all of our policies with the non-aligned independents. I will approach these discussions in a spirit of complete and total candour because I believe we have good policies, I believe we have policies that should be implemented and I hope that, on full reflection, the non-aligned independents believe that a Coalition Government is worthy of support. Then why won’t you submit them to Treasury? Well, the point I make is that I am only too happy to have the most candid conversations about our policies, about how they might work, about what they will cost and I am prepared to make myself, my shadows and the accounting firm that has costed the policies fully available to the independents. Have you fallen down here on one of their baseline requirements which is full transparency? They can't provide anything if you don't show them! Mr Abbott, what does that say about the Charter of Budget Honesty that the Howard Government set up and you asked the Rudd Opposition to put in policies then but now you’re saying the public service is not going to understand any opposition policies. The point I made was that I am only too happy for the non-aligned independents to have access to briefings by Departmental Secretaries and other officials. I’m very happy for that to happen but those officials are not in a position to give advice on Opposition policies which they haven’t implemented, in the same way that they are in a position to give advice on government policies. So if you become Prime Minister will you scrap the Charter of Budget Honesty? You just said that it's rubbish. …so what if you become the next Government? Will you relinquish the Opposition of having to submit their costings then? Well, the point that I made is that I want to be as candid and as upfront with the non-aligned independents as I possibly can be and I am only too happy to make myself and my shadows fully available to them, and to make available to them all of the material that was provided Howaths and to provide Howaths to fully brief them on our costings. Why can't you provide yourself and your Shadow Ministers and put the policies into Treasury as well? Well again, I just make two points; that before I authorise any release of material under the caretaker conventions, I would want to see the advice that the Prime Minister is considering and I just reiterate the point that I’ve made before that the public service is not in the same position vis a vis Opposition policies, to provide advice and insight as it is to provide advice and insight on Government policies. Thank you.